Artistic duo Telmo Miel create incredibly realistic and surrealistic artwork using spray paint techniques to produce their street art. The muralists and image-makers, Telmo Pieper and Miel Krutzmann, recently developed this piece, entitled Flamin'go. 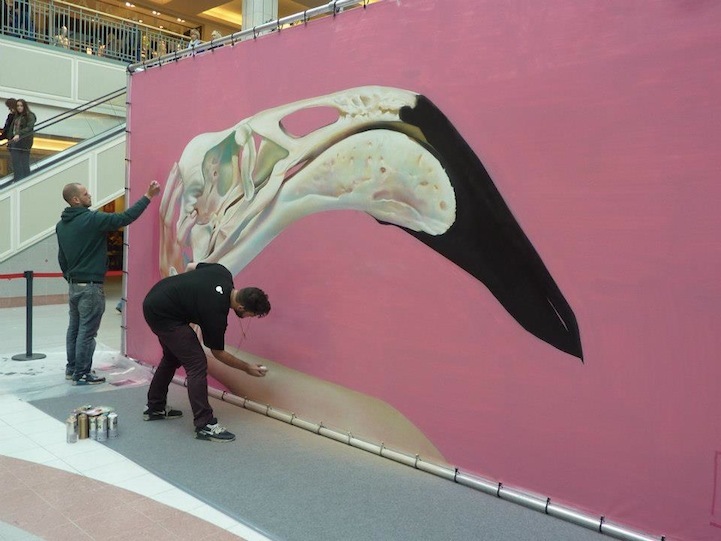 Set up on a large canvas in the middle of Artifex Gallery and Wijnegem Shopping Center in Antwerp, Belgium, visitors to the space had the opportunity to watch the artists as they worked.